Stéphane Galland obtains academic degrees in the Computer Science: bachelor (1996-1997) and research master (1998) at the Franche-Comté University (France). Stéphane Galland supports a PhD thesis in 2001 at the [http://www.mines-stetiennes.fr High National School of Mines of Saint-Etienne (France). He proposed a methodological approach for the design and the implementation of agent-based simulation of distributed industrial systems. In 2002, he integrates the Computer Science department of the Belfort-Montbéliard University of Technology (France), and the Systems and Transport Laboratory, where he continues his research tasks on the topic of agent-based modeling and simulation of complex systems (cities, highway networks, crowd...) with a large scale and a multiview points of view, and applied to virtual reality environment. In 2004 and 2005, Stéphane Galland is responsible of the courses of the doctoral school SPIM for his University. From 2007 to 2008, he is responsible of the courses of the speciality "Image, Interaction and Virtual Reality" of the Computer Science department. In 2013, Stéphane Galland obtains an accreditation to supervise Research (French “Habilitation à Diriger des Recherches”) from the Franche-Comté University (France). The title is of his dissertation is "Methodology and tools for the multiagent simulation in virtual worlds." 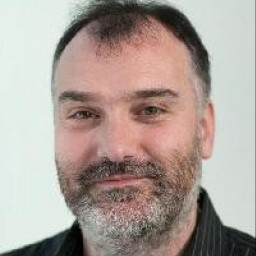 Stéphane Galland is one of the contributors to the [http ://www.aspecs.org ASPECS methodoloy and its CRIO metamodel], to the SARL agent-programming langage, and to the Janus agent platform. Since 2016, Stéphane Galland is the French Head of the ARFITEC exchange programme named "Energy, Transport, Industry, Challenges for Tomorrow." In September 2016, Stéphane Galland integrates the Electronic, Computer Science and Image Laboratory (LE2I) as one of the responsibles and contact points of the Research axis on "Intelligent Environments." He has published papers in high ranked journals and conferences. He has also organized international conferences and workshops on agent models and their applications. Janus: holonic and organizational multiagent platform. Arakhnê.org: my open source software and libraries. Eclipse Xtext: language development framework for the Eclipse IDE. Hazelcast: open-source in-memory data grid. Checkstyle: open-source checker for source code style. Sublime Text LaTeX Tools: LaTeX tools for the Sublime TeXt editor. Nuxeo Drive: desktop drive for the Nuxeo file sharing service. 10th International Conference on Future Networks and Communications (FNC-15 @ Belfort). 12th International Conference on Mobile Systems and Pervasive Computing (MobiSPC-15 @ Belfort). International Workshop on Agent-based Modelling and Applications with SARL (SARL workshop). 11th International Conference on Future Networks and Communications (FNC-16). 6th International Conference on Emerging Ubiquitous Systems and Pervasive Networks] (EUSPN-15). International Workshop on Agent-based Modeling and Simulation of Cities (AgentCities), since 2014.
International Workshop on Information Fusion for Smart Mobility Solution (IFSMS), since 2014. 7th International Conference on Ambient Systems, Networks and Technologies (ANT-16). Member of the French Association for Artificial Intelligence (Agent-based system College) - AFIA. Agent-based modeling of drones and their environment in smart cities. PhD Thesis, Université Bourgogne Franche-Comté - UTBM. Large-scale Activity-based and Agent-based Co-simulation of Traffic. Agent-based Modeling of the Social and Economic Factors affecting the Choice of Transportation Mode: Application to the Beirut city. PhD Thesis, Université Bourgogne Franche-Comté - UTBM, S&A BVBA (Antwerpen, Belgium). Multiresolution, Multilevel and Agent-based Modeling of a Large-Scale Traffic. PhD Thesis, University of Ngaoundere (Cameroun) and Université Bourgogne Franche-Comté - UTBM. Comprendre la ville comme un système complexe - Understood the City as a Complex System. PhD Thesis, Hasselt University (Belgique) and Orange Lab (France). Approches et outils de génération d'univers 3D pour la modélisation et la simulation de systèmes de transport terrestre - Modeling Approach and 3D World Generation Tools for the Simulation of Land Transport System. PhD Thesis, University of Bourgogne Franche-Comté - UTBM. Un modèle d'environnement pour la simulation multiagent de déplacement en milieu urbain - Microscopic simulation model of heterogenous entities and of the 3D urban environment. PhD Thesis, Université de Technologie de Belfort-Montbéliard, Voxelia S.A.S (Belfort, France). Modèle de comportement d'agents et d'environnement informé pour la simulation microscopique 3D dans des bâtiments - Agent behaviour model and informed environment model for microscopic simulation of buildings in 3D. PhD Thesis, Université de Technologie de Belfort-Montbéliard, Laboratoire Electronique, Informatique et Image (University of Bourgogne, France). Un modèle d'environnement pour la simulation multiniveau : application à la simulation de foules - A model of environment for the multilevel simulation: application to the simulation of crowds. Systèmes multiagents holoniques : De l'analyse à l'implantation. Métamodèle, Méthodologie et Simulation multiniveau - Holonic Multi-Agent Systems: From the analysis to the implementation. Metamodel, Methodology and Multilevel simulation. Contribution à la spécification et à la vérification des systèmes distribués. Reviewer of the HDR, ReDCAD Laboratory, FSEG, Université de Sfax, Tunisia. Modélisation de Systèmes Complexes par Composition : Une démarche hiérarchique pour la co-simulation de composants hétérogènes. Reviewer of the PhD Thesis, Université de Lorraine, France. Architecture multi-agent pour la conception et l’ordonnancement de systèmes multi-senseur embarqués sur plateformes aéroportées. Reviewer of the PhD Thesis, Sorbonne-Université, France. Hybrid Cloud Model Checking using the Interaction Layer of HARMS for Ambient Assistive Living Environments. Reviewer of the PhD Thesis, Purdue University, Indiana, USA. Assistance à la recherche documentaire par une approche adaptative à base d'agents et d'artefacts. Reviewer of the PhD Thesis, INSA Rouen, Normandie Université, France. Improving RESTful Services Performance on Mobile Devices using a Two-Tier Web Caching System. Reviewer of the PhD Thesis, School of Innovative Technologies and Engineering of the University of Technology, Mauritius. Agent-based Simulation Model and Matching Support Framework for Carpooling. Reviewer of the PhD Thesis, Hasselt University, Belgium. Intergiciel Agent pour le Déploiement et la Configuration d’Applications Distribuées dans des Environnements Ambiants. Reviewer of the PhD Thesis, University Pierre et Marie Currie - Paris 6, France. Facilitating Mobile Crowdsensing from both Organizers' and Participants' Perspectives. Reviewer of the PhD Thesis, Telecom SudParis and University Pierre et Marie Currie - Paris 6, France. Contribution to the Intercity Modal Choice considering the Intracity Transport Systems: Application of an Adapted Mixed Multinomial Logit Model for the Jakarta-Bandung Corridor. Reviewer of the PhD Thesis, Université de Technologie de Compiègne, France, and Unisersitas Indonesia. Cause and Effect - An Agent-based Approach to Simulate Strategic Level Driver Behavior. Reviewer of the PhD Thesis, Technische Universität Berlin (Germany). Quasi-Optimal Mobile Crowdsensing: Cadre de conception et algorithmes. Study of the models and software for the drone simulation in the context of urban cities..
Master Research, LE2I and School for Transportation Sciences, Hasselt University, Belgium. Distributed Interaction Spaces for collaborative and contextualized learning situations. Master Research, LIRIS Laboratory (Villeurbanne, France), Jury. Analysis, design and implementation of advanced 3D models for pedagogical study cases. Master Research, Systems and Transport Laboratory - Université de Technologie de Belfort-Montbéliard, Voxelia S.A.S (Cravanche, France). Native Compilation of the Multiagent Platform JaSIM. Toward the edition of scenarios for 3D or virtual reality agent-based simulations. Comparison and verification of pedestrian behaviours. GPU-based rendering engine and lightning algorithms. Design of software componants for 3D simulation. Attribute Edition Improvement in MetroB Application. Master Research, Systems and Transport Laboratory - Université de Technologie de Belfort-Montbéliard, Krakow University (Poland). Urban simulation in virtual reality - holonic simulation of vehicles and pedestrians. Master Research, Systems and Transport Laboratory - Université de Technologie de Belfort-Montbéliard, Conservatoire National des Arts et Métiers de Belfort. Bus Scheduling in Metro-B Simulator. Master Research, Systems and Transport Laboratory - Université de Technologie de Belfort-Montbéliard, ENSA (Marrakech, Marocco). Environment model and visual perception model for agents in virtual reality. Master Research, Systems and Transport Laboratory - Université de Technologie de Belfort-Montbéliard, Université de Franche-Comté. Online and intelligent bets for the Chess world championship 2005. Master Research, Systems and Transport Laboratory - Université de Technologie de Belfort-Montbéliard, Young 2005 World Chess Championship Organization Comitee. Realtime project on cinema screens for an international chess championship. I have invited the following colleagues as guest professor or visiting student. Modeling and simulation of drone swarms. Visiting PhD Student, Laboratory of Intelligence Sensors and Process Equipments, Shanghai University. Visiting PhD Student, Grupo de Investigacion en Tecnologias Informaticas Avanzadas, Facultad Regional Tucuman - Universidad Tecnologica Nacional, Argentina. Joint Research Programs on Mobility and Transport, and Large-scale agent-based modeling and simulation for transport and mobility. Visiting PhD Student, Transportation Research Institute, University of Hasselt, Belgium. Freight Model with SARL and Janus. Agent-based model for the negociation and simulation of carpooling with the Janus platform. Agent-based model for carpooling with the Janus platform. Igor TCHAPPI HAMAN, Stéphane GALLAND, Vivient Corneille KAMLA, and Jean-Claude KAMGANG. In Proc. of The 15th International Conference on Mobile Systems and Pervasive Computing (MobiSPC 2018), Elhadi SHAKSHUKI, Ansar-Ul-Haque YASAR (eds. ), pp. 137-144, Canary Islands, Spain, Elsevier, vol. 134, 2018. Hui ZHAO, Stéphane GALLAND, Luk KNAPEN, Tom BELLEMANS, and Ansar-Ul-Haque YASAR. In Proc. of 8th International Symposium on Frontiers in Ambient and Mobile Systems, pp. 979-984, Porto, Portugal, Procedure Computer Science, Elsevier, 2018. Samar EL-AMINE, Stéphane GALLAND, and Abderrafiaa KOUKAM. In International Journal of Ubiquitous Systems and Pervasive Networks (JUSPN), vol. 10(1), pp. 33-40, 2018. Seminar between EDF R&D and LE2I, Paris Saclay., 2018. Yazan MUALLA, Wenshuai BAI, Stéphane GALLAND, and Christophe NICOLLE. In Proc. of Procedia Computer Science, pp. 791-796, Elsevier, 2018. Salon BIMOC 2018, Dijon, 2018. Seminar between LE2I and EDF at Dijon (France), 2018. Igor TCHAPPI HAMAN, Stéphane GALLAND, Vivient Corneille KAMLA, Jean-Claude KAMGANG, Cyrille Merleau NONO SAHA, and Hui ZHAO. In Int. Journal of Personal and Ubiquitous Computing, Springer, 2018. In Proc. of 13th International Conference Cellular Automata for Research and Industry (ACRI18), the 5th Workshop on Traffic and Cellular Automata (TCA18), Lectures Notes in Computer Science, 2018. Mariem FEKIH, Patrick BONNEL, Zbignew SMOREDA, Tom BELLEMANS, and Stéphane GALLAND. In Proc. of 1ères Rencontres Francophones Transport Mobilité (RFTM 2018), Lyon, France, 2018. Séminaire Recherche Inter Universités de Technologie, 2018. Journée Recherche UTBM 2018., 2018. Wendan DU, Abdeljalil ABBAS-TURKI, Abderrafiaa KOUKAM, Stéphane GALLAND, and Franck GECHTER. In Proc. of The 8th International Conference on Emerging Ubiquitous Systems and Pervasive Networks (EUSPN 2018), pp. 258-262, Leuven, Belgium, Elsevier, volume 141., 2018. Yazan MUALLA, Amro NAJJAR, Robin VANET, Olivier BOISSIER, and Stéphane GALLAND. In Proc. of the 1st International Workshop on Real-Time compliant Multi-Agent Systems (RTcMAS 2018), International Conference on Autonomous Agents and Multiagent Systems (AAMAS 2018), Stockholm, Sweden, 2018. In Proc. of International Conference on Modern Intelligent Systems Concepts, Rabat, Morocco, 2018. Yazan MUALLA, Robin VANET, Amro NAJJAR, Olivier BOISSIER, and Stéphane GALLAND. In Proc. of the 16th International Conference on Practical Applications of Agents and Multi-Agent Systems (PAAMS18), Lecture Notes in Artificial Intelligence. Springer, 2018. Glenn CICH, Stéphane GALLAND, Luk KNAPEN, Ansar-Ul-Haque YASAR, Tom BELLEMANS, and Davy JANSSENS. In Proc. of the 15th International Conference on Practical Applications of Agents and Multi-Agent Systems, LNCS, pp. 31-42, Springer, 2017. Wasim Sohail Hashmi SYED, Ambreen JABBAR, Maqbool UDDIN SHAIKH, Ansar-Ul-Haque YASAR, Davy JANSSENS, and Stéphane GALLAND. In Journal of Ambient Intelligence and Humanized Computing, Springer-Verlag Berlin Heidelberg, 2017. Samar EL-AMINE, Stéphane GALLAND, Ansar-Ul-Haque YASAR, and Abderrafiaa KOUKAM. In Proc. of the 8th International Conference on Emerging Ubiquitous Systems and Pervasive Networks (EUSPN 2017), Lund, Sweden, Elsevier, 2017. In Proc. of International Workshop on Agent-based Modeling and Applications with SARL (SARL 2017), Elsevier, 2017. Mariem FEKIH, Zbignew SMOREDA, Stéphane GALLAND, and Tom BELLEMANS. In Proc. of 7th International Symposium on Frontiers in Ambient and Mobile Systems (FAMS 2017), Springer, 2017. Igor TCHAPPI HAMAN, Vivient Corneille KAMLA, Stéphane GALLAND, and Jean-Claude KAMGANG. In Proc. of 6th International Workshop on Agent-based Mobility, Traffic and Transportation Models, Methodologies and Applications (ABMTRANS'17), Springer, 2017. Stéphane GALLAND, Andre MATSUSHITA, and Christophe NICOLLE. Hui ZHAO, Stéphane GALLAND, Tom BELLEMANS, and Ansar-Ul-Haque YASAR. LE2I Seminars at Belfort, France, 2017. Guest Professor, Doctoral School of the Hasselt University, Belgium., 2016. Guest Professor, Master on Transport Sciences, Hasselt University, Belgium., 2016. Guest Professor, Network Event on Autonomous Vehicles, IMOB, Mobilumni, Commeatus, Hasselt University, Belgium, 2016. Alexandre LOMBARD, Hao XUGUANG, Abdeljalil ABBAS-TURKI, Abdellah EL MOUDNI, Stéphane GALLAND, and Ansar-Ul-Haque YASAR. In Proc. of The 7th International Conference on Emerging Ubiquitous Systems and Pervasive Networks (EUSPN 2016)., pp. 148 - 155, Elsevier, 2016. Guest Professor, Master of the Faculty of Economics and Management of Sfax, Tunisia, 2016. Iftikhar HUSSAIN, Luk KNAPEN, Stéphane GALLAND, Ansar-Ul-Haque YASAR, Tom BELLEMANS, Davy JANSSENS, and Geert WETS. In Journal of Future Generation Computer Systems, pp. 1-16, Elsevier, 2016. Ansar-Ul-Haque YASAR, Stéphane GALLAND, and Elhadi SHAKSHUKI. In International Journal on Future Generation Computer Systems, vol. 64, Elsevier, 2016. Glenn CICH, Luk KNAPEN, Stéphane GALLAND, Jan VUURSTAEK, An NEVEN, and Tom BELLEMANS. In Proc. of The 5th International Workshop on Agent-based Mobility, Traffic and Transportation Models, Methodologies and Applications (ABMTRANS 2016), Procedia Computer Science, Elsevier, 2016. Iftikhar HUSSAIN, Luk KNAPEN, Stéphane GALLAND, Tom BELLEMANS, Davy JANSSENS, and Geert WETS. In Proc. of 6th International Conference on Ambient Systems, Networks and Technologies, London, UK, 2015. Julien SAUNIER, Carlos CARRASCOSA, Stéphane GALLAND, and Patrick Simo KANMEUGNE. In E4MAS 2014 - 10 years later, LNCS, vol. 9068(1), pp. 1-16, Springer International Publishing Switzerland, 2015. D. WEYNS, F. MICHEL, H. VAN DIKE PARUNAK, Olivier BOISSIER, Michael SCHUMACHER, A. RICCI, A. BRANDAO, Carlos CARRASCOSA, O. DIKENELLI, Stéphane GALLAND, A. PIJOAN, P.S. KANMEUGNE, J.a. RODRIGUEZ-AGUILLAR, Julien SAUNIER, V. UROVI, and F. ZAMBONELLI. In Lecture Notes in Computer Science "Agent Environments for Multi-Agent Systems IV", vol. 9068, pp. 3-21, 2015. Jean-Philippe ANTONI, Thomas BUHLER, Patrick RÉRAT, Jérémie GUÉLAT, Janine DAHINDEN, and Stéphane GALLAND. In En Direct, (259), Université de Franche-Comté, France, 2015. Mobility-Management, Traffic-Safety and Simulations (MTS) Summer School, 2015. In Détours, Université de Technologie de Belfort-Montbéliard, 2015. Institut for Mobility (IMOB), University of Hasselt, Belgium, 2014. François GUIOT, Ludovic HENRY, and Stéphane GALLAND. Iftikhar HUSSAIN, Luk KNAPEN, Stéphane GALLAND, Davy JANSSENS, Tom BELLEMANS, Ansar-Ul-Haque YASAR, and Geert WETS. In Proc. of First International Workshop on Information Fusion for Smart Mobility Solutions (IFSMS14), Halifax, Canada, Procedia Computer Science, 2014. Ecole Nationale Supérieure des Mines de Saint Etienne, 2013. HDR thesis, Université de Franche-Comté, Université de Technologie de Belfort-Montbéliard, 2013. Vianney DEPAUW, Clément DESOCHE, and Stéphane GALLAND. Seminar at the Universidad National de Jujuy, Argentina, 2012. Florian BEHE, Christophe NICOLLE, Stéphane GALLAND, and Abderrafiaa KOUKAM. In Proc. of the 3rd International Conference on Computer Supported Education (CSEDU 2011), pp. 270-278, Noordwijkerhout, Netherlands, SciTePress, 2011. In Proc. of the 3rd International Workshop on Multi-Agent Systems Technology and Semantics (MASTS 2011), John Jules MEYER, Amal El Fallah SEGHROUCHNI, Adina Magda FLOREA (eds. ), pp. 309-314, AI-MAS Laboratory, Department of Computer Science, University Politehnica of Bucharest, ERRIC FP7 project, Delft, The Netherlands, Springer, 2011. Florian BEHE, Stéphane GALLAND, Christophe NICOLLE, and Abderrafiaa KOUKAM. In Proc. of International Conference on Knowledge Engineering and Ontology Development (KEOD11), Paris, France, Paper 89, 2011. Stéphane GALLAND, Jonathan DEMANGE, and Abderrafiaa KOUKAM. Jonathan DEMANGE, Stéphane GALLAND, and Abderrafiaa KOUKAM. In Proc. of 4th International Conference on Complex Distributed Systems (CODS10), Chongqing, China, Foresight Academy of Technology, 2010. In Int. Journal Systemics and Informatics World Network, vol. 10, pp. 145-152, 2010. Stéphane GALLAND, Frédéric GRIMAUD, Philippe BEAUNE, and Jean-Pierre CAMPAGNE. Chapter in Supply Chain Optimisation: Product/Process Design, Facility Location and Flow Control, vol. 94, chapter 5, pp. 277-288, Springer, 2005. Christina CHITESCU, Stéphane GALLAND, Samuel GOMES, and Jean-Claude SAGOT. In Proc. of the 10th international workshop CONFERE (Collège d’Etudes et de Recherches en Design et Conception de Produits) sur l’Innovation et la Conception, pp. 55-64, Belfort-France, 2003. In International Journal of Production Economics (special issue), vol. 85, pp. 11-31, 2003. PhD thesis, Ecole Nationale Supérieure des Mines et de l'Université Jean-Monnet, Saint-Etienne, France, 2001. In Proc. of the International Conference on Industrial Engineering and Production Management (IEPM’01), Québec, Canada, 2001. Stéphane GALLAND, Frédéric GRIMAUD, and Jean-Pierre CAMPAGNE. In Proc. of the 15th European Simulation Multiconferences – Modelling and Simulation, pp. 296-305, Prague, Czech Republic, Society for Computer Simulation, Best Paper Award Candidate, 2001. In Proc. of the 4th Conference "Génie Industriel", pp. 673-684, Aix-en-Provence, Marseille, Ajaccio (France), 2001. In Proc. of Conférence francophone de modélisation et simulation (MOSIM01), Troyes, France, 2001. In Proc. of the European Simulation Multiconference – Simulation and Modelling: Enablers for a better quality of life, pp. 77-82, Ghent, Belgium, Society for Computer Simulation, 2000. In Proc. of the European Simulation Multiconference – Simulation and Modelling: Enablers for a better quality of life, pp. 756-762, Ghent, Belgium, Society for Computer Simulation, 2000. In Proc. of ASIM-Workshop 20/21.3 - Multiagentsystems and Individual-based simulation, pp. 83-93, Wuerzburg, Germany, Institut fur Informatik (Bayerishe Julius-Maximilians-Universitat), 2000. In Proc. of the 11th European Simulation Symposium, pp. 104-108, Erlangen, Germany, Society for Computer Simulation, 1999. Master thesis, Université de Franche-Comté, Besançon, France, 1998. This page was last modified on 19 March 2019, at 13:15. This page has been accessed 296,553 times.